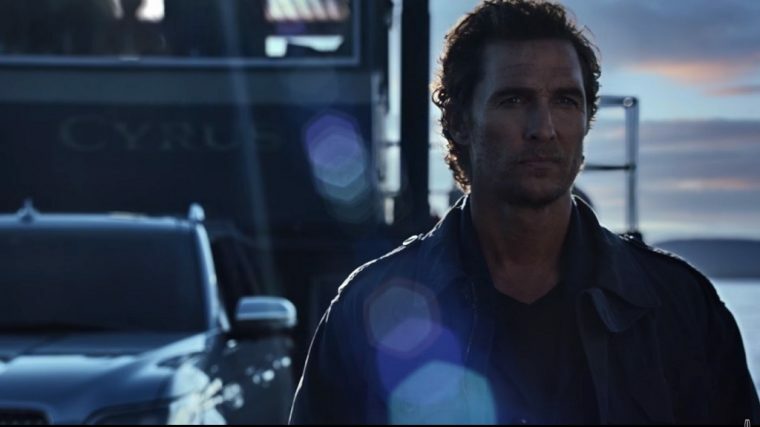 If you thought Matthew McConaughey’s involvement in the promotion of the 2018 Lincoln Navigator was going to be limited to one commercial where he drums on a steering wheel at a railroad crossing, you had better strap in because you are about to have your mind blown by more McConaughmadness. A lot more. So here’s Matthew McConaughey—and the Lincoln Navigator, of course—alone on a barge (named “Cyrus”) crossing some kind of frigid sea en route to…an island? 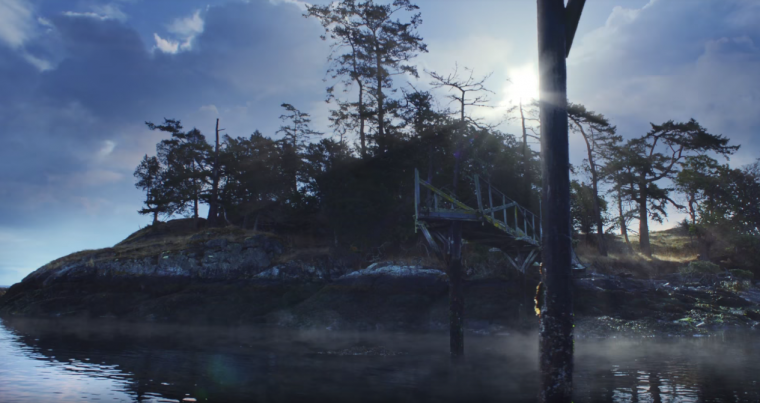 Some far, strange location in the Pacific Northwest? 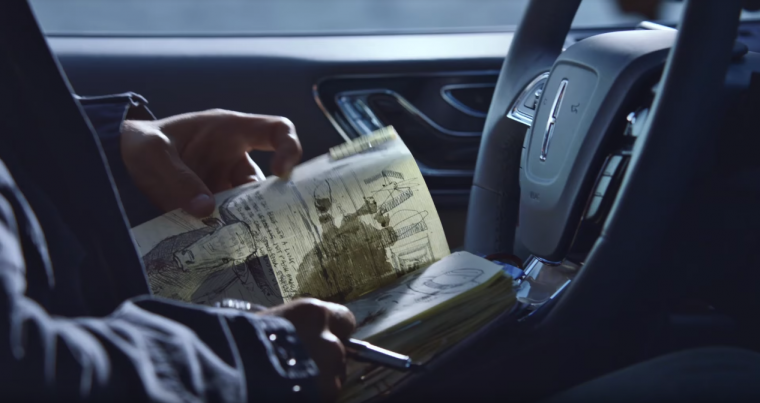 McConaughey uses the Navigator’s touchscreen interface to check his position, blows on his hands to fight off the biting cold, flips through the pages of a yellowing journal filled with what appears to be drawings, says “next chapter” to himself with a measure of poise (as if reassuring), hits the push-button start, switches the Lincoln Drive Mode dial over to the Excite setting, and embarks onto his next journey. Simple, right? Perhaps not. Perhaps not at all. 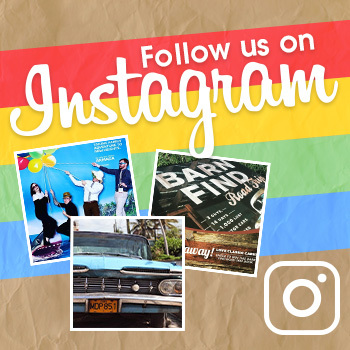 The pages are filled with strange drawings, including the depiction of a bull—a likely nod to one of McConaughey’s first Lincoln ads—and a fedora—possibly a nod to McConaughey’s years studying the blade and his affection for tendies. 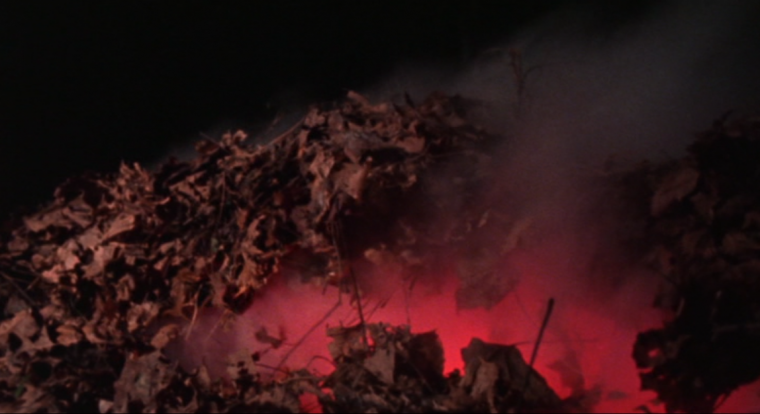 There is also a great, indefinable black mass. It could be a hand. It could be something more sinister. I was struck by something familiar about these drawings and the scratched, frantic writing that accompanies them. I realized that I have seen something like it all before. It could just be Matthew McConaughey’s sketchbook, which would be crazy enough in and of itself, but it may also be something far older and far more powerful. A tome excavated from the ruins of Kandar. A volume of Sumarian burial practices and funerary incantations. A work that confirms the existence of demons, their immortality, and their ability to possess the vessels of mortals who speak the cursed text found within. Bound in flesh, inked in blood, it has many names. The Naturom Demonto. The Book of the Dead. The Necronomicon Ex-Mortis. And, given that it is now in possession of the Academy Award-winning actor, it could perhaps be redubbed the Matthew NecronoMcConaughey. This explains the griminess of Matthew McConaughey’s features. He is fresh from a dig, having only just recovered the artifact he so desperately sought, and is driven by something—madness?—to press on without hesitation or rest. This explains, too, the unexplainable look on his face in the picture above. It also explains why the captain of “Cyrus” shares a similar look—like Charon, he has delivered so many, one by one, to their doom over these “uncharted” waters. He knows all too well the thing that lies waiting in ancient slumber beneath the hills on the other side. 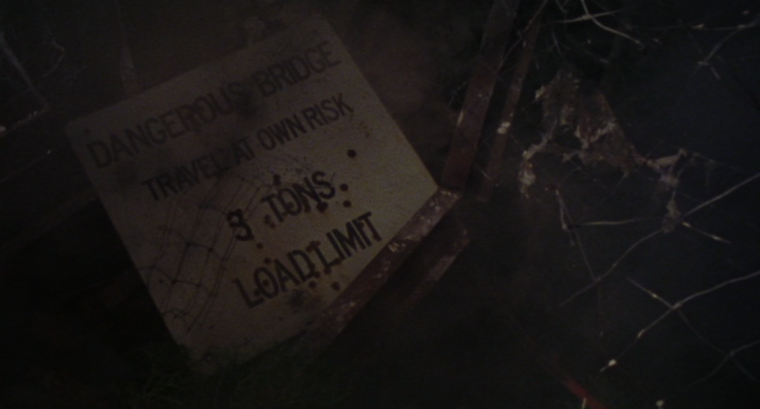 There is something familiar, too, about the image of a crumbling bridge leading away from the dark woods. Perhaps it fell victim to time or disuse. Or, perhaps, it was made to collapse by a force that will not allow those who come ashore to leave with their souls intact. The “next chapter” here is not a metaphorical chapter; it is a literal one. McConaughey needs to recover the missing chapter in the book so that he can make the book whole again. And then? Who knows. 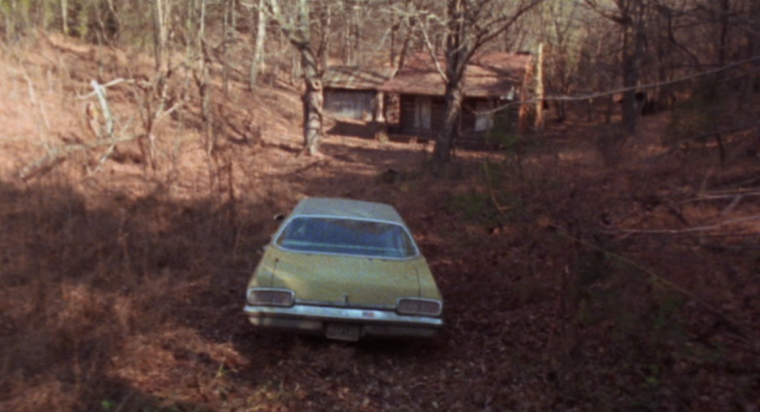 Let’s just hope that if McConaughey’s intentions are ill, the Navigator is greeted at the cabin in the woods by the familiar sight of a 1973 Oldsmobile Delta 88 Royale in the next ad. Now that would be a crossover event that’d sell a lot of Lincolns.